How to Use Amazon Pay Balance for Shopping? What is Amazon Prepaid Mobile Recharge Offer? What is Amazon Pay DTH Recharge Offer? What is Amazon Pay Load Money Offer? If you are shopping at Amazon platform for the first time and don’t know how to use your Amazon Pay wallet then no need to worry. Here we will tell you how to shop using Amazon Pay balance and initiate swift payments. If you already have money loaded in your Amazon Pay wallet, just select the Amazon Pay Balance option at the checkout. Amazon will auto-deduct the amount to be paid for the order from your wallet. In case, you have set default payment and address for all Amazon orders, make sure to change it to Amazon Pay balance first. For this, select the “Change” option given next to the payment method on the checkout page. Go back to the payment selection page and choose Amazon Payments balance as the payment option. In case, your Amazon Payment Balance doesn’t have sufficient balance, select a Credit card to pay the amount not covered by the Amazon Pay balance while making payment. In addition, you can also use an Amazon gift card along with Amazon Pay balance to pay for an Amazon order. When the order is shipped, Amazon charges amount from the gift card first, then Amazon Pay balance, and at last, the added bank card (only when necessary). Hardly, you see will a retailer these days from where you could get your phone number recharge done. Gone are the days when we used to go through the chart filled with different mobile plans at a recharge shop. Everything is now available online, quickly you can do recharges or pay bills using your e-wallet. Amazon Pay not only lets you make payments but also bestow multiple cashback offers. On the minimum recharge of Rs. 35 via Amazon Pay, you can earn a cashback ranging between Rs. 10 and Rs. 300. This offer can be availed only once during the scheme period. To check whether you have received the amount, go through the Amazon Pay statement or you can wait for a notification stating the credited amount to the Amazon Pay balance. During the offer period, users can buy a prepaid mobile recharge of Rs. 35 or more on Amazon to avail the Amazon Pay recharge offer. The minimum cashback amount is set to Rs. 10 while the maximum cashback limit is Rs. 300. The cashback will be given in the form of Amazon Gift Card which can be redeemed as Amazon Pay balance to make payments and recharges on Amazon. The cashback will be credited to the user’s account within three working days if the transaction as Amazon Pay balance. The offer is applicable once per customer during the offer period. In case of cancellation, the cashback offer stands void and the amount will be adjusted from the refund value. Amazon reserves the right to alter/modify/change the terms and conditions or discontinue the Amazon Pay recharge offer at any time without prior notice and specific reason at its sole discretion. The offer is valid only on prepaid mobile recharges and stands void on postpaid mobile bill payments and DTH recharges. Under no circumstances, the Amazon Pay recharge offer can be settled in cash. Doing a DTH recharge has become simple than ever. No more thinking of going through the DTH operator’s website and doing a recharge by entering all Credit/Debit card details. If you have an Amazon Pay account, you only have to fill in your card details once and turn on auto-reload to become free from uploading money on every single transaction. Additionally, the platform showers you with a number of Amazon Pay DTH offers with which you can earn cashbacks on transactions. On initiating a DTH recharge via Amazon Pay, users can avail an exciting cashback starting at Rs. 10, ranging up to Rs. 1,000. The Amazon Pay DTH offer is valid only for one time per user during the offer period. The minimum recharge amount should be Rs. 100 if one wants to take cash back benefits. To avail cashback on the DTH recharge, users have to make payment worth Rs. 100 or more using Amazon Pay DTH offer. Under no circumstances, the Amazon Pay DTH offer can be settled in cash. Getting a hotel reservation in advance is bliss as one doesn’t need to experience the hassle of finding the perfect hotel after reaching the destination. Moreover, the advance booking of bus tickets ensures the type of bus and seats are as per your preference. With Amazon Pay facility, one can earn cashbacks using exclusive Amazon Pay travel offers. On using Amazon Pay balance to book bus tickets on AbhiBus, users can avail 25% cashback, maximum up to Rs. 75. The offer is valid only for new customers on their first ever transaction via Amazon Pay on AbhiBus platform. It is a one-time offer and therefore, can be availed only once during the campaign period. No Amazon Pay offer code is required. 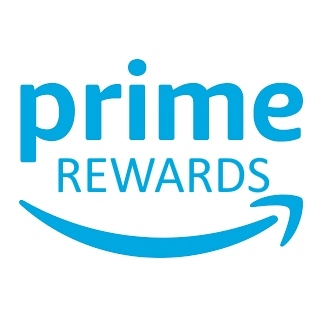 In collaboration with RedBus, Amazon is offering an exclusive cash back offer for Prime members. On using Amazon Pay balance wallet to book bus tickets, customers will get 10% cashback. The maximum cashback amount is limited to Rs. 75 and no Amazon Pay coupon code is required to avail the cashback. If you are not a prime member but are using Amazon pay for the first time to book bus tickets on RedBus, you can earn a 10% cashback on your booking. The maximum cashback that you get to earn using Amazon Pay Travel offer is Rs. 75. Make sure to select Amazon Pay at the time of the transaction and there is no need to apply any promo code as the cashback is auto-applied. Renting a car is the best option when you wish to go on a long drive but don’t have a car. Drivezy gives customers easy availability of rented cars and bikes and several cashback offers. On using Amazon Pay balance on Drivezy, users can earn 10% cashback as Amazon Pay Balance. The maximum cashback amount is set to Rs. 300. Additionally, the offer can be used only once during the campaign period. We often connect travel with long-distance journeys but what about daily commuting? Amazon Pay takes care of that too. Users who take Shuttl can avail amazing cashback offer on using Amazon Pay balance for payment. New customers, who would do their first-ever transaction via Amazon Pay on Shuttl, will get 50% cashback, maximum up to Rs. 125. In case, you are an existing customer, avail Amazon Pay Travel offer to earn 20% cashback, maximum up to Rs. 500. Get an instant 20% off on flight tickets booked on Yatra platform. The maximum cashback limit is set to Rs. 750. Don’t forget to use the Amazon Pay offer code “YTAMZ19”. Hurry up! Book your flight tickets now. In case, you are taking a domestic flight, save 15%, maximum up to Rs. 1,500 on your booking. There is no limitation of the minimum transaction amount. Book domestic as well as international flight tickets on Goibibo and use your Amazon Pay balance wallet to avail exclusive discounts. An instant discount of flat 5% is available on both domestic and international flight tickets on Goibibo and when you make payment via Amazon Pay, you would get an extra 5% cashback. Just use the Amazon Pay promo code “GOAMAZON” to avail a cashback worth Rs. 850. When a Prime customer books Domestic flight tickets using Amazon Pay wallet on ClearTrup platform, he gets 30% cashback on bookings. On one-way flight bookings, the cash back limit is set up to Rs. 500 while for round way trip, users will get up to Rs. 1,600 cashback. There is no need to apply Amazon Pay promo code, simply select your e-wallet to book flight tickets on ClearTrip. If you order food online frequently from Swiggy, participate in Amazon Pay offer in which on the three consecutive orders, you would get amazing cashbacks. On the first ever order, the cashback amount is set to Rs. 75 while on your second and third order, you would get Rs. 50 sequentially. Did someone say Pizza? If you are having a craving for Dominos Pizza, make sure to use Amazon Pay before placing the order to get 30% back. Getting back Rs. 75 cashback is a pretty good deal on your favourite pizza. Isn’t it? If you happen to use Box8 to get hot and fresh food delivered to your doorsteps, don’t forget to pay your order bill via Amazon Pay. As the platform is offering 15% back on food. The maximum cashback limit is Rs. 75. Hurry up! It is a limited period deal. After going through all these Amazon Pay balance cashback offers, you must be wondering where are Amazon Pay Movie offers. Your wait is over now. Every movie-goer looks for deals on movie tickets before heading to theatres or making online bookings. If you happen to be an Amazon Prime user, you can save a lot on your tickets by using a particular Amazon Pay Movie Offer that suits you the best. At present, only one deal is running on the platform - Amazon Pay BookMyShow offer. Book tickets at BookMyShow and pay via Amazon Pay balance to earn 20% cashback. Users are entitled to the maximum cashback worth Rs. 100, during the offer period. No Amazon Pay offer code is required to avail the BookMyShow scheme. Sending a gift to someone special could be a difficult task If you are not sure, what gift you should send, try an Amazon Gift Card. These cards for every occasion are beautifully designed and give liberty to the receiver to purchase anything under the mentioned amount. From birthdays and anniversaries to weddings and congratulations, every card speaks what you are feeling. Choose from a plethora of Amazon Gift Cards and pay via Amazon Pay balance wallet to activate any current Amazon Pay Gift Card offer. At present, Amazon is offering 10% cashback, maximum up to Rs. 50, on gift card purchases. The amount will get credit to your account within the five days of the successful gift card purchase. What are you waiting for? Explore the Amazon Gift Card store now. Not a long time ago, Amazon rolled an unbelievable Amazon Pay add balance offer in which the platform was offering Rs. 1,000 cashback on adding money to the Amazon Pay balance. However, to become eligible for this Amazon Pay offer, users had to add money worth Rs. 5,000 in their account. In general, the cashback amount was given in the form of Amazon Gift Card to the customers, which is redeemable to pay bills, do recharges and shopping. Additionally, Amazon was giving Rs. 50 cashback on adding Rs. 100 to the Amazon e-wallet. Though these two offers were pretty money saving deals, the validity of both the offers has expired now. However, you can keep on looking for more Amazon Pay add money offer today. These were some of the best Amazon Pay offers that you can use before placing your orders on Amazon to win exciting cashbacks. As deals come with an expiry date, make sure you grab them before time to earn on your purchases.